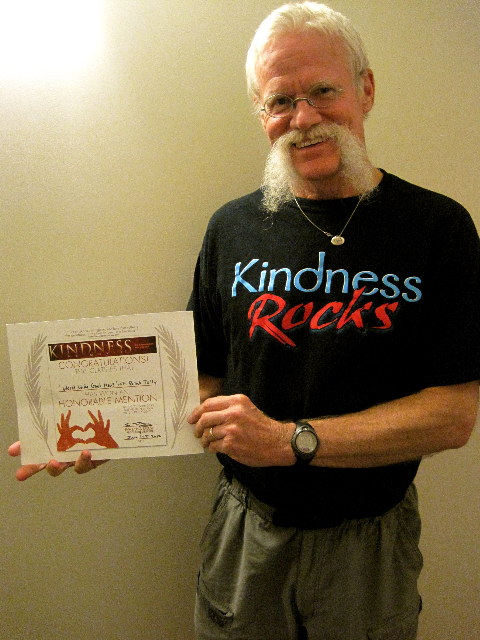 It was truly an honour to receive an ‘Honourable Mention’ for this Award out of the United States for a video clip of a video that was done on our work around creating a KINDER world – to prevent bullying and violence, abuse of nature, and cruelty to our animals! i accepted it on behalf of everyone who has supported us on our wonderful journey together! Please see the Kindness the Movie website for more stories of kindness around the world. ≈ Comments Off on New Video!